23/03/12 -- Soybeans: May 12 Soybeans closed at USD13.65 3/4, up 16 1/4 cents; Nov 12 Soybeans closed at USD13.22 1/2, up 10 3/4 cents; May 12 Soybean Meal closed at USD373.00, up USD2.90; May 12 Soybean Oil closed at 54.88, up 92 points. The soya complex headed into the weekend consolidating losses from earlier in the week. May 12 beans still finished 8 1/4 cents lower on the week, with meal down USD1.40 and oil losing 62 points. Funds were said to have bought 5,000 soybean contracts on the day. The Argentine Ag Ministry fine tuned their soybean crop estimate to 44.0 MMT compared to a previous estimate of 43.5-45.0 MMT and the USDA's 46.5 MMT. The Commitment of Traders report shows large funds adding 23,000 contracts to their net soybean length in the week through to Tuesday. Farm Futures magazine estimate 2012 US soybean acres at 76 million, one million more than the USDA indicated last month. Corn: May 12 Corn closed at USD6.46 1/2, up 2 cents; Dec 12 Corn closed at USD5.57 1/2, up 1 3/4 cents. May 12 lost 26 1/2 cents on the week, with new crop Dec 12 falling 17 cents. Farm Futures magazine said that US farmers will plant 95.1 million acres of corn this spring, 1.1 million more than the USDA projected at it's February Outlook forum. Despite that funds were said to have been net buyers of 3,000 contracts on the day. The Commitment of Traders report has them adding almost 19,000 lots to their net long position (which is now close to 200,000 contracts) in the week through to Tuesday. The Argentine truckers strike is over, which should allow corn and soybean exports there to resume as normal. China's corn stocks are being openly questioned. One leading Chinese official was quoted as saying that "the balance of supply and demand of corn in China appeared to be reaching a tipping point." Wheat: May 12 CBOT Wheat closed at USD6.54 1/4, up 8 cents; May 12 KCBT Wheat closed at USD6.94 1/2, up 10 1/2 cents; May 12 MGEX Wheat closed at USD8.17 1/4 up 10 1/4 cents. May 12 Chicago wheat fell 17 3/4 cents on the week. Funds were given credit for being net buyers of 3,000 contracts on the day. Chicago wheat has a shortage of sellers due to the existing large fund short. Extra corn and soybean acres have to come from somewhere, and whilst there will be some that come from land that was too wet to get anything planted last season and was claimed on against "prevent plant" insurance, it looks like some may come from wheat. Farm Futures magazine see US all wheat acres at 56.7 million for the 2012 harvest. That's 1.3 million less than the USDA indicated last month, although still an increase of 4.2% on last year. 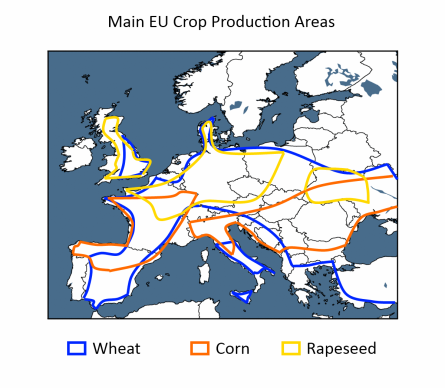 The possibility of lower European production in 2012 is also seen as supportive for US wheat. The Commitment of Traders report has the fund community reducing their net short in CBOT wheat futures and options by 2,000 contracts to just over 41,000 in total. 23/03/12 -- EU grains finished higher with expiring Mar 12 London wheat going off the board unchanged at GBP175.00/tonne. Other old crop months were GBP2.25/tonne higher, with new front month May closing at GBP172.50/tonne. New crop was GBP2.40 to GBP2.60/tonne firmer. May 12 Paris wheat closed up EUR3.75/tonne to EUR214.00/tonne. The week overall weekly performance was flat with May 12 London wheat unchanged and May 12 Paris wheat up EUR0.25/tonne. It's shaping up to be another interesting year. Although not exactly fresh news, the size of China's grain stocks have perhaps never before been doubted quite so openly as they are being at the moment. According to the USDA, at the end of 2011/12 China will be sitting on 22% of the world's soybeans, almost 30% of the world's wheat and 47% of it's corn stocks. 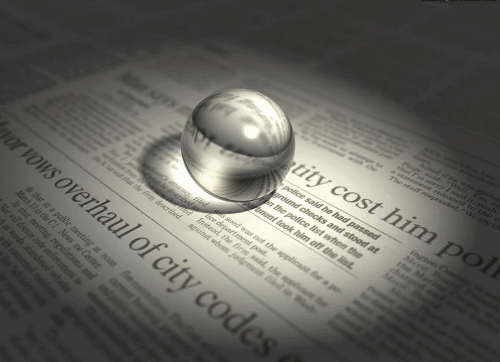 Is it all really there, and how would the market react if it knew that it wasn't? Eager to take advantage of any global shortage, US farmers will plant a modern day record 95.1 million acres of corn this spring, say Farm Futures magazine - which is 1.1 million more than the USDA suggested last month. 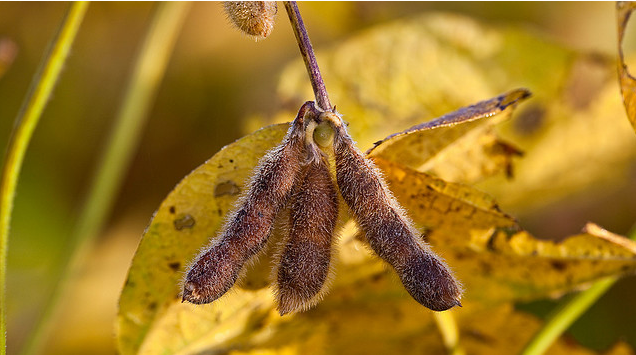 They see soybean plantings at 76 mill acres, 1 million more than the USDA said and all wheat sowings at 56.7 million which is 1.3 million less than the USDA forecast in February. 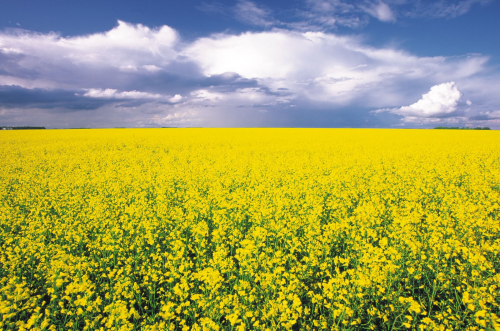 High soybean and rapeseed prices will encourage Canadian growers to plant a record 21 million acres of the latter this spring, according to Oil World. 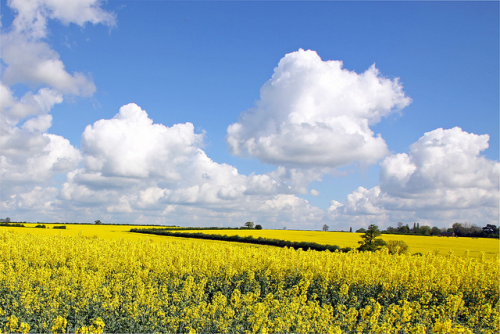 That's an increase of almost 12% on last year for the world's largest exporter of rapeseed. Ukraine will plant a record corn area this spring, also looking to cash in on high prices. 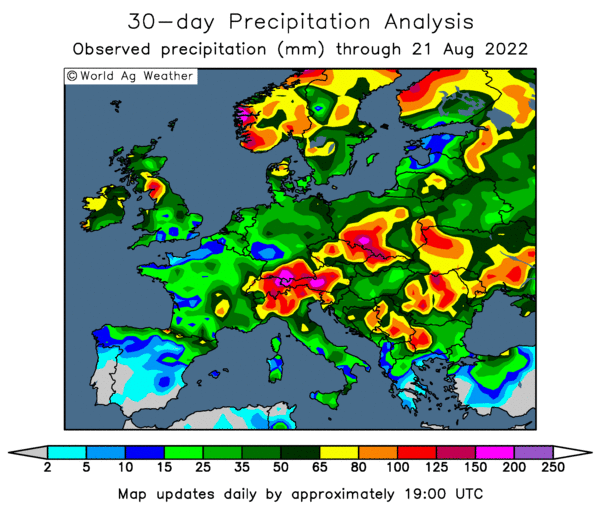 Any crop losses in Western Europe to the February freeze and/or winter drought will also spawn increased corn plantings here. Will we get the rain though, that's the question? In fact that's only one of a number of questions. European debt is a far from sorted issue, how is that going to pan out in the remaining three quarters of 2012? Will there still be an EU-27? Could anything else come from off field to spook the funds into packing up their bat and ball and looking for something a bit safer and less volatile than the markets we find ourselves stuck with? In other news, Brussels issued 440,000 MT of soft wheat export licences this past week, 38 weeks into the marketing year. That was the second best total since week 19, even so exports are more than a third down on where they were a year ago. 23/03/12 -- Rapemeal prices on the continent are higher, in line with gains in the overnight Chicago market and firmer rapeseed levels in Paris. Nearby availability remains tight. 23/03/12 -- The overnight grains are higher across the board with beans leading the way in what seems to be a correction from losses earlier in the week. Based on last night's close May 12 beans were down 24 1/2 cents on the week, May 12 corn was down 28 1/2 cents and May 12 CBOT wheat down 25 3/4 cents. It's interesting to note that, also based on last night's close, front month London wheat has gained 15% on 2011's closing levels, Paris wheat is only 3.7% higher than on the last day of trading in 2011 whilst in Chicago prices are actually 1% lower. Perhaps that's partly down to the fact that US wheat was simply too dear at the tail end of last year? Production potential certainly looks a lot brighter for US wheat than it did twelve months ago, with my friend Gail Martell noting "Wheat prospects are hugely improved over last season from generous precipitation in the December-March period." Here in Europe it's starting to look like instead of a modest recovery in wheat production this year we may be in for a little cut-back. Having said that, it is still early days yet. Offre et Demande say that Europe will have a soft wheat crop of 127-128 MMT this year, down from 129.6 MMT in 2011. Rapeseed output also looks like taking a hit. Both should be to the benefit of corn production here though. Now we sit and wait for the USDA's stocks and planting intentions report at the end of next week. Is it just me, or does this market seem to be setting itself up for a situation where anything other than an absolutely ideal growing season in America this summer has the potential to send prices soaring from what are already historically high levels? 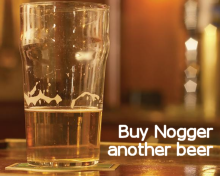 Especially if our mates the funds see an opportunity for some (more) easy money. 22/03/12 -- Soybeans: May 12 Soybeans closed at USD13.49 1/2, down 5 1/2 cents; Nov 12 Soybeans closed at USD13.11 3/4, down 6 cents; May 12 Soybean Meal closed at USD370.10, up USD0.30; May 12 Soybean Oil closed at 53.96, down 42 points. Worries about a slowdown in Chinese growth, partially due to the ongoing and possibly worsening recession in Europe, dragged beans lower today. 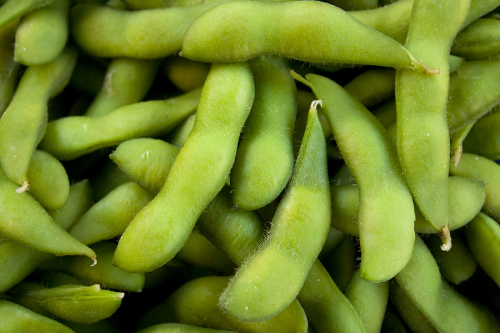 Funds sold an estimated 5,000 soybean contracts on the day. Weekly export sales were a let down at 356,700 MT for 2011/12 and 176,100 MT for 2012/13, the trade had been anticipating sales in the region of 900,000 and one million MT. Corn: May 12 Corn closed at USD6.44 1/2, up 2 1/2 cents; Dec 12 Corn closed at USD5.55 3/4, down 1/4 cent. Weekly export sales were 862,100 MT for 2011/12 and 55,000 MT for 2012/13, a little above estimates for sales of 650 to 850 thousand MT. Having fallen 31 cents in the past three sessions, with funds selling an estimated 36,000 contracts during this time, then maybe some modest consolidation was due. The Argentine Ag Ministry estimated their 2011/12 corn crop at 21.2 MMT - slightly higher than their previous estimate of 20.5 MMT. The US weather outlook remains favourable for timely corn plantings. Wheat: May 12 CBOT Wheat closed at USD6.46 1/4, up 10 cents; May 12 KCBT Wheat closed at USD6.84, up 9 cents; May 12 MGEX Wheat closed at USD8.07, up 8 1/4 cents. Weekly export sales of a combined 541,300 MMT were above estimates for sales of 400-500 TMT. Ideas of a lower European wheat crop in 2012 were friendly, with the Chicago contract in particular deriving support from the size of the spec short in it. It is notable that US wheat prices have fallen since the turn of the year whereas European levels have gained. Still, there's plenty of competition around with Australia and Canada winning some high profile business in the past week or so. 22/03/12 -- EU grains finished mostly higher. Expiring tomorrow Mar 12 London wheat closed GBP3.00/tonne higher at GBP175.00/tonne without trading, the soon to be new front month May 12 ended GBP0.50/tonne firmer at GBP170.25/tonne. May 12 Paris wheat was up EUR1.50/tonne to EUR210.25/tonne. The market is clearly all over the place, based on tonight's close front month London wheat has gained 15% on 2011's closing levels, it's Paris counterpart has added 3.7% whilst in Chicago prices are 1% lower! Traders are struggling to assess the affects of last month's hard freeze combined with a distinct lack of moisture in Western Europe. 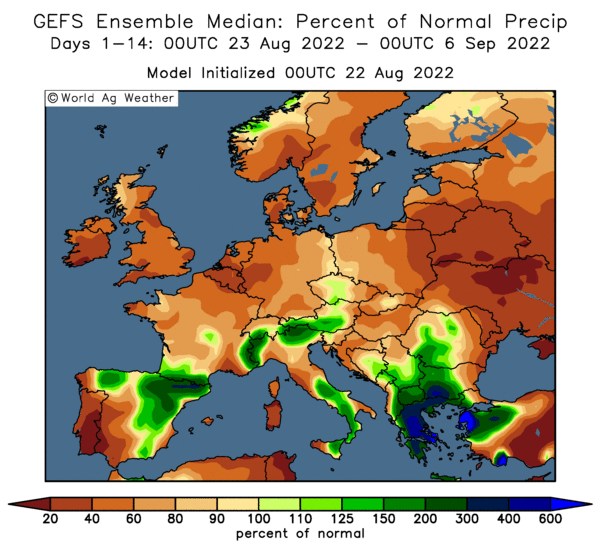 February's cold wave may have lopped 5 MMT off this year’s EU-27 wheat harvest, and a lack of rain might further harm output, said one report on Bloomberg quoting Offre et Demande in France. Whilst a combination of drought and extreme cold may be harming European wheat prospects, it's likely to be helping corn potential. 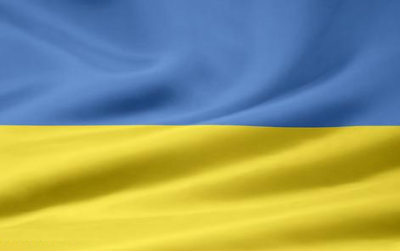 Ukraine might plant as much as 5 million hectares of corn for the 2012 harvest, a 38 percent increase on last year, according to the Interfax-Ukraine news agency today. Meanwhile across the pond winter wheat crop conditions have improved, fairly dramatically in some cases, since crops went into dormancy. Rains this week are seen helping crop ratings improve some more next week. 22/03/12 -- Rapemeal prices on the continent are little changed, mostly a tad firmer today. Nearby tightness continues with March not offered once again. New crop is a bit steadier on ideas that crop losses in France due to the February freeze may be worse than was first thought. 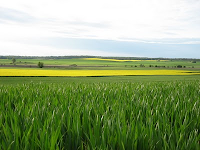 22/03/12 -- Only 24 hours after Ukraine's Ag Minister said the the country could plant a record 4.3-4.5 million hectares of corn this spring the head of the ministry's planting department said that plantings could rise to 4.5-4.8 million hectares this year. Not to be outdone, Interfax-Ukraine are now saying that the area sown with corn may increase 38 percent to a whopping 5 million hectares. If it does and they were to match last season's yields then Ukraine would end up with a corn crop of 32 MMT, half of the production of the whole of Europe! You don't have to be a genius to figure out that Ukraine could well end up being extremely aggressive sellers of corn come the back end of 2012. 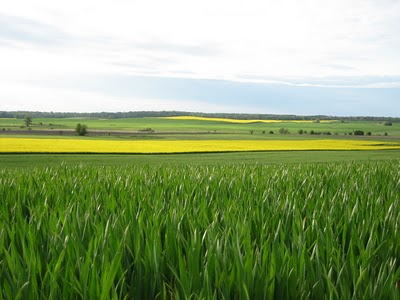 Winter crop losses will see spring wheat plantings rise 23 percent to 350,000 hectares and spring barley will be sown on 3.2 million hectares, an increase of 24 percent on last year, Interfax-Ukraine add. 21/03/12 -- Soybeans: May 12 Soybeans closed at USD13.55, up 10 cents; Nov 12 Soybeans closed at USD13.17 3/4, up 10 1/2 cents; May 12 Soybean Meal closed at USD369.80, up USD4.20; May 12 Soybean Oil closed at 54.38, up 5 points. The soya complex once again proved to be the strongest leg out of it, corn and wheat. Funds were said to have bought 5,000 soybean contracts on the day. An Argentine truckers strike should in theory direct some export business the way of the US with weekly export sales for tomorrow estimated in the region of 900,000 and one million MT. There are the perennial rumours of Chinese buying overnight. Corn: May 12 Corn closed at USD6.42, down 5 1/2 cents; Dec 12 Corn closed at $5.56, down 4 1/4 cents. Funds were said to have sold another 8,000 contracts today, bringing their weekly total sold so far to 36,000 lots, a volume that the market finds difficult to absorb. Forecasts for above normal temperatures and above normal precipitation are conducive for early planting. China has been conspicuous by it's absence this past fortnight despite all the reports of how low their corn stocks are. Tomorrow's weekly export sales report will be interesting therefore, with the trade looking for sales of 650 to 850 thousand MT. Wheat: May 12 CBOT Wheat closed at USD6.36 1/4, down 6 1/4 cents; May 12 KCBT Wheat closed at USD6.75, down 5 1/2 cents; May 12 MGEX Wheat closed at USD7.98 3/4, down 1/2 cent. Funds were said to have sold 2,000 Chicago contracts on the day. US wheat lost out to Argentine origin this week on sales to Algeria, Morocco and UAE. China are said to have bought 350,000 MT of Australian feed wheat this week. Decent rains on the Great Plains with more in the forecast is thought likely to have been beneficial to US winter wheat, a crop that is already in much better shape than it was a year ago. 21/03/12 -- EU grains finished narrowly mixed with Mar 12 London wheat unchanged and May 12 down GBP0.25/tonne to GBP169.75/tonne. May 12 Paris wheat was unchanged, with new crop Nov 12 up EUR0.50/tonne to EUR200.00/tonne. Reports that up to 8% of French winter crops had succumbed to the February freeze were supportive. News that Morocco and Algeria had both bought South American wheat in preference to more expensive EU and US origins was not. News that the Spanish port of Cartagena is about to unload 40,000 MT of US wheat highlights how the recent decline in world freight markets opens up what would have been traditionally considered to be a "safe" European home to other origins. Russia's grain exports meanwhile have slowed right up, with only 400,000 MT being shipped out in the first ten days of the month as they find themselves priced out of the market. US weather is currently favourable for both winter wheat development and timely corn (and spring wheat) plantings. The US all wheat area is expected to be around 5-9% higher for the 2012 harvest and crop conditions are markedly better than they were last year too. The Ukraine Ag Minister says that corn plantings there may increase by between 23-29% to 4.3-4.5 million hectares for the 2012 harvest. Whilst much of that increase comes at the expense of failed winter wheat, carryover stocks of the latter at the end of the current season are expected to be the largest in almost 20 years at 7-8 MMT. 21/03/12 -- The overnight grains didn't offer much this morning, with beans 1-3 cents firmer and corn & wheat 2-3 cents weaker. Crude is up slightly and the dollar is a touch firmer against the pound and the euro. French cereal lobby Orama said yesterday that 700,000 ha of winter crops have suffered winterkill and will need to be replanted, that's 8 percent of the total area sown in the autumn and easily the largest estimate yet, which immediately puts me in mind of the little boy who cried wolf for some reason. They also said that the European debt crisis is over and that President Sarkozy is in reality six foot tall and is only made to look small via a complicated combination of smoke & mirrors to keep Angela Merkel happy. As ever we are all once again hanging on the USDA's every word awaiting next week's planting intentions report. The corn area is seen anywhere between 93.7-95.5 million acres depending on who you want to run with, versus 94 million at the February Outlook Forum. The post-War high for corn area was the 93.527m acres planted in 2007. For soybeans we are looking at an area of 74.7-76.7 million acres (the USDA Forum last month said 75 million), and for wheat 57-59.2 million (58 million last month). Meanwhile we have improved weather conditions for developing winter wheat, which are also conducive for early corn planting which is putting the grains under a little bit of pressure. Morocco and Algeria are both said to have bought South American wheat, with EU and US origins too expensive. The Russian export pace has faded at such a rate that breaching the government's 27 MMT limit suddenly looks highly unlikely. Ukraine is still going hammer and tongs at corn exports in particular, although they've also sold 100,000 MT of wheat to Bangladesh this week. Early calls for this afternoon's CBOT session: corn & wheat 2-4 cents lower, soybeans up 2-3 cents. 21/03/12 -- Rapemeal prices on the continent are down for a second day, in line with losses in Chicago last night. Nearby availability remains tight due to poor crush margins. 21/03/12 -- The Ukraine Ag Minister says that the country will export a record 15 MMT of corn in 2011/12. That's 1 MMT more than the USDA currently estimate and would propel them above Argentina into second place in the world export league table, second only to America. What is more, they seem to like their new found prominence there as they are likely to up corn plantings this year by between 23-29% to 4.3-4.5 million hectares, he estimates. If they were lucky enough to match last year's yields then that would give them a monster crop in the region of 27-29 MMT in 2012. Carryover grain stocks at July 1st are likely to be a hefty 10 MMT plus, including 7-8 MMT of wheat, he says. 21/03/12 -- Concerns about Chinese economic growth hang over the market after it raised its fuel prices for the second time in less than six weeks yesterday. European woes haven't gone away either, with reports in the media now suggesting that the Dutch are possibly the latest nation to fail to meet budget targets agreed with the European Commission. Meanwhile, reluctantly thrust into the limelight is Portugal, where five-year bond yields are around 16 percent. After two days of consolidation, profit-taking, call it what you will, the overnight market is flat. Funds are thought to have ditched 28,000 corn contracts in the past two sessions. Every man and his dog are lining up to chuck their 2012 US planting estimates at us. We have to wait until next Friday for the USDA to give us theirs. It's safe to say that with prices where they are plantings will be large. Russia's grain exports have slowed right up, with only 400,000 MT setting sail for foreign climbs in the first ten days of March, according to IKAR. That would bring exports to around 21 MMT for the 2011/12 marketing year to date, using Rusagrotrans' estimate of 20.6 MMT being shipped in the Jul/Feb period. So it looks like we may finish the month with Russian exports of around 21.5 MMT, if things carry on at this rate shipments for the entire season may struggle to get past 25 MMT. That means that they'll have a bit more carryover than expected heading into the 2012/13 marketing year, which they will no doubt welcome with their customary enthusiasm given anything like a half decent new crop. 20/03/12 -- Soybeans: May 12 Soybeans closed at USD13.45, down 21 1/2 cents; Nov 12 Soybeans closed at USD13.07 1/4, down 18 1/4 cents; May 12 Soybean Meal closed at USD365.60, down USD5.30; May 12 Soybean Oil closed at 54.33, down 107 points. A heavily overbought market has been due a bit of consolidation, and today was the day despite not a great deal of change in the fundamentals. With the USDA out with their prospective plantings report next week an assortment of private analysts are coming out with their own estimates. For soybeans Linn Group today came out with 76.7 million acres and Newedge with 76.0 million, compared to last month's Outlook figure from the USDA of 75 million. Funds sold an estimated 7,000 soybean contracts on the day. Oil World cut their Brazilian crop estimate 1.5 MMT to 66.5 MMT. Corn: May 12 Corn closed at USD6.47 1/2, down 16 cents; Dec 12 Corn closed at USD5.60 1/4, down 10 cents. Funds were said to have dumped a hefty 18.000 lots today on broad-based commodity selling. Outside markets were sharply lower in the main too. When the funds get spooked like this there's really only one likely outcome. The question now is will they be over it by tomorrow? Newedge estimate 2012 US corn plantings at 93.7 million acres, Linn group say 94.8 million versus the USDA's 94 million last month. Cordonnier pegs them at 95.5 mil with a 161-162 bu/acre yield. That is 1.5 million acres higher than the USDA, although with a 2-3bu/acre lower yield. Wheat: May 12 CBOT Wheat closed at USD6.42 1/2, down 9 3/4 cents; May 12 KCBT Wheat closed at USD6.80 1/2, down 11 cents; May 12 MGEX Wheat closed at USD7.99 1/4, down 7 3/4 cents. Funds were said to have been net sellers of around 2,000 Chicago wheat contracts on the day. Linn Group gave us an all wheat planting estimate of 57 million, versus 58 million from the USDA last month. ADM Investor Services go 58.2 million as do Newedge. All of those are sharply higher on last season's 54.4 million. Winter wheat crop conditions are significantly better than twelve months ago, with 70% of Oklahoma's crop rated good/excellent and the Kansas crop coming in at 54% in the top two categories. Beneficial rain has fallen since those numbers came out too. 20/03/12 -- EU grains finished almost universally lower although soon to expire Mar 12 London wheat somehow managed to buck the trend officially closing GBP0.50/tonne higher at GBP172.00/tonne, despite not even trading. Other old crop months were GBP1.25/tonne lower with new crop mostly down GBP1.45/tonne. May 12 Paris wheat was down EUR1.75/tonne to EUR208.75/tonne. The market has risen a hell of a long way in the past three months and was perhaps massively overdue a shake out. Given the weakness in corn and soybeans across the pond this was a pretty resilient performance by wheat. There is now widespread talk that crop losses in France at the hands of the February freeze are in fact worse than initially feared. In addition, news that the USDA attaché in Morocco says that heavy crop losses there due to winter drought will see wheat imports in the coming season surge to 5 MMT or more was also friendly. The country's barley harvest is also set to plunge by 62% to a 12-year low, prompting a doubling in imports to a record 1.0 MMT, according to Agrimoney.com. Russia said yesterday that it will not be introducing export restrictions on grain this season. Today, Rusagrotrans said that exports in February dipped to 1.1 MMT due to logistical problems caused by last month's deep freeze, bringing 2011/12 marketing year to date shipments to 20.6 MMT. Exports for the full season are likely to be in the range of 25.5-26.0 MMT, they said - comfortably beneath the suggested government limit. US winter wheat on the Great Plains got a boost from some much needed moisture overnight. More could be on the cards in the next few days. Oklahoma's crop is now rated 70% good/excellent, up four points from a week ago and 14 percentage points higher than it went into winter dormancy back in November. Private analysts Celeres say that the Brazilian soybean harvest is 58% complete as of Friday, 17% ahead of the five-year average pace. That could be bearish for corn allowing the second crop to go into the ground in a timely manner. Similar could be said for US corn, where temperatures well above normal in the Midwest are also likely to see early sowings, potentially maximising yield prospects. Well known analyst Dr Michael Cordonnier pegs the 2012 US corn area at 95.5 million acres, which is 1.5 million more than the USDA suggested last month (and that alone would be a post-war record). Revised figures are out next Friday from the USDA. 20/03/12 -- The overnight market is red across the board with beans down 10-13 cents and corn & wheat around 6-9 cents lower. WTI crude is a dollar or so weaker, with Brent falling around USD1.75/barrel. Outside markets are also mostly negative with gold and equities also falling. The dollar is a bit firmer, adding a bit more downside pressure. Profit-taking looks like being the order of the day again, with no sign of a turnaround Tuesday in sight so far. Russia's announcement that they won't be introducing any sort of export restrictions this season is being credited for having knocked some of the stuffing out of the market. Rusagrotrans say grain exports in Feb fell to 1.1 MMT due to ice restricting movements. That brings Jul-Feb exports to 20.6 MMT, they see the full 2011/12 MY at 25.5-26 MMT, comfortably below the government's suggested ceiling. The US weather finally seems to be playing ball too, with rain where it's wanted and warmth and dryness where that is wanted too. There were good rains in central OK, KS, and TX yesterday, and the dry areas of Western KS and Eastern CO look set to receive rains in next few days also. Winter wheat is 3-4 weeks ahead of normal development, which is fine as long as we don't get an April freeze. The latter certainly isn't out of the question though. As things stand Midwest corn planting looks like getting off to a flyer. Linn Group are estimating US all wheat plantings at 57 million acres, with corn at 94.8 million and soybeans at 76.7 million. March 1st stocks for wheat are seen at 1.216 billion bushels, for corn 6.112 billion and for beans 1.387 billion. Last month the USDA's Outlook Forum pegged corn acres at 94 million, soybeans at 75 million and wheat at 58 million. Based on where the overnights are now we see May 12 beans down 20 1/4 cents, May 12 corn down 18 1/2 cents and May 12 CBOT wheat down 28 1/2 cents from Friday night's closing levels. For corn yesterday's export inspections were pretty poor and cumulative shipments now lag year ago levels by more than 23 million bushels. Soybean and wheat inspections were also on the low side. 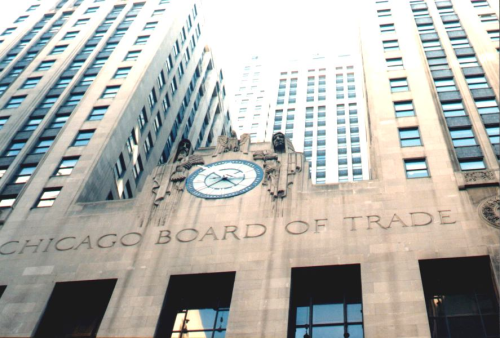 Early calls for this afternoon's CBOT session: beans down 10-12 cents, wheat & corn down 7-9 cents. 20/03/12 -- Here's an interesting picture for you, picked up of Twitter as posted by Tregg Cronin. I have no way of getting in touch with Tregg to ask his permission to use this, but as the page it's posted on contains some embed code then I am assuming that he won't mind. This is the percentage of normal rainfall for the last 45 days from Cropcast. Click on the image to enlarge it a bit. There's clearly an east/west divide developing. The high pressure that has been blocking off weather systems moving in from the west, directing any rain up to the Jocks and the North Sea is seen weakening once we get into April though where the forecast is for more normal unsettled weather for the UK. 20/03/12 -- Rapemeal prices on the continent are lower across the board for once, mirroring falls in Chicago soymeal last night and again this morning. Nearby tightness continues with no offers on the table for March today. 19/03/12 -- Soybeans: May 12 Soybeans closed at USD13.66 1/2, down 7 1/2 cents; Nov 12 Soybeans closed at USD13.25 1/2, down 2 3/4 cents; May 12 Soybean Meal closed at USD370.90, down USD3.50; May 12 Soybean Oil closed at 55.40, down 10 points. profit-taking was the order of the day after the recent impressive run higher. Funds were light sellers, offloading 3,000 bean contracts on the day. Weakness from wheat and corn was a bit negative but continued Chinese interest (they bought two more US cargoes on Friday) and news of an Argentine truckers strike lent support. Corn: May 12 Corn closed at USD6.63 1/2, down 9 1/2 cents; Dec 12 Corn closed at USD5.70 1/4, down 4 cents. Funds were thought to have ditched 10,000 contracts on the day on beneficial US weather. Above normal rainfall for the Plains and WCB this week combined with much warmer than normal temperatures over the weekend look set to get the 2012 corn crop off to a good and early start. Soil temperatures are already above the 50 F threshold for corn germination, report Martell Crop Projections. Weekly corn export inspections of 23.2 million bushels were poor compared to 38.5 million last week and the 30-35 million expected by the trade. Safras e Mercado estimate the 2011/12 Brazilian corn crop at a record 63.26 MMT. Wheat: May 12 CBOT Wheat closed at USD6.52 1/4, down 19 3/4 cents; May 12 KCBT Wheat closed at USD6.91 1/2, down 14 cents; May 12 MGEX Wheat closed at USD8.07, down 15 3/4 cents. News that Russia says that there will be no need for export restrictions in the current marketing year was negative. Weekly export inspections were a bit disappointing at 20.982 million bushels, well below the 31.7 million from last week. Heavy rain fell overnight and early this morning on the southern Great Plains, aiding winter wheat development there. Kansas wheat is rated 53% good/excellent, with 12% of the crop jointed. 19/03/12 -- EU grains finished mostly lower. Mar 12 London wheat was down GBP1.25/tonne at GBP171.50/tonne, other old crop months were down GBP1.25/tonne with new crop months falling GBP0.40-0.90/tonne. May 12 Paris wheat was down EUR3.25/tonne to EUR210.50/tonne. Based on tonight's close there's now only five euros between May 12 London and Paris wheat. There wasn't really a great deal of fresh news around today. Heavy rain overnight for southwest Kansas, western Oklahoma and the Texas panhandle should aid winter wheat there. "Frost is predicted tonight in those same areas. 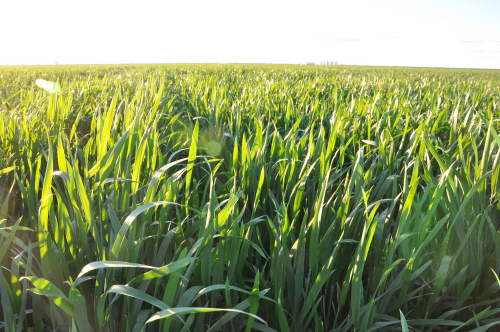 Wheat jointing is suspected to be in the early stages, so frost may merely burn leaves, not causing any permanent damage. It is a reminder that wheat development is 3-4 weeks ahead of schedule," say Martell Crop Projections. There's lots of talk of losses to winter grains in France, Germany, Poland and Ukraine due to the February deep freeze, but quantifying it isn't easy with opinions varying quite widely at this early stage. Iraq bought 300,000 MT of Canadian wheat last week, following on from 400,000 MT from the same origin in February, They will tender again in April they say. Algeria is also in the market 125,000 MT of optional origin milling wheat and 50,000 MT of barley for May shipment. UAE are also seeking smaller quantities of wheat, barley and corn for April/May shipment. Safras e Mercado estimate the 2011/12 Brazilian corn crop at 63.26 MMT, down from their previous estimate but still a record and higher than the USDA said earlier this month. Russia’s first deputy prime minister says that there will be no need for grain export restrictions in the current crop year. 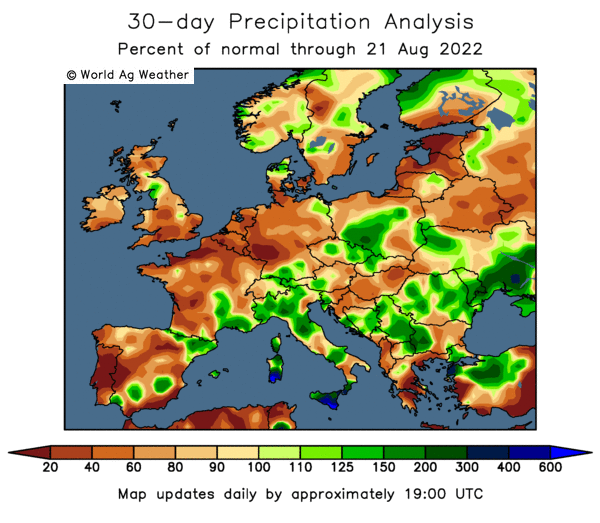 France and Spain may see some rain this week but the UK, especially the east, is set to remain dry. Indeed, there's not a lot of rain in the forecast for us now until April. Deja Vu anybody? 19/03/12 -- The overnight market has begun the week in negative territory with beans and corn 4-6 cents lower and wheat down 5-7 cents. NYMEX crude is a bit firmer and Brent a little lower. Weekend weather developments in the US took a turn for the better with Martell Crop Projections saying Midwest temperatures in the upper 70s to low 80s already have soil temperatures "above the 50 F threshold for corn germination, even 4-16 inches deep." In addition: "Strong thunderstorms erupted early this morning in the southwest Great Plains bringing welcome heavy rain to wheat in southwest Kansas, western Oklahoma and the Texas panhandle." Also: "The Midwest is expecting welcome rain in Missouri, Iowa, eastern Nebraska and Minnesota. Iowa and Minnesota growers will welcome soaking rain, since the subsoil is badly depleted of moisture. East of the Mississippi River, the forecast is mainly dry this week. Low rainfall, together with heat, is good news for growers in Indiana and Ohio, where the subsoil is already plenty wet," they conclude. Russia says that there will be no need for it to impose export restrictions on grains during the remainder of 2011/12. Iraq says it has bought 300,000 MT of Canadian wheat and it will tender for more next month. European debt worries return, with the market now focusing on Portugal and Spain. Debt isn't the only worry in Europe though, winter kill and drought are also a cause for concern with many now saying that grain production won't rebound from last season's output, but may now actually fall in 2012. 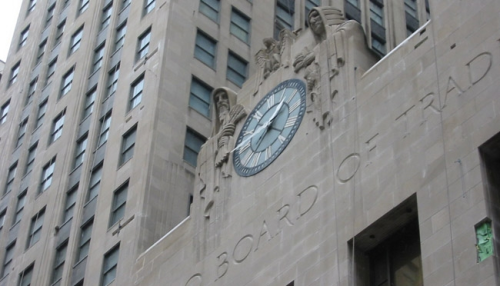 Early calls for this afternoon's CBOT session: corn, wheat and beans all down 4-6 cents. 19/03/12 -- How tight is the nearby rapemeal market? Despite the fact that we've been trading a fixing market in Erith for some considerable time, and that there have been no front month offers on the continent for about six weeks, anecdotal reports from the hauliers suggest that the normal seasonal queues to get in and out of these facilities are strangely absent this year. May/Jul is shaping up to be an interesting period with consumers seemingly only lightly covered but with the crushers also having only minimal sales on. Who or what gives first? The nearby tightness seems to be more a function of a reduced crush than rampant demand to me. Cutting back on throughput across the summer may also be an option for some crushers, but compounders will be pointing to very uncertain feed demand during the coming months too, even if rapemeal is competitively priced compared to soymeal. 19/03/12 -- Rapemeal prices on the continent show little change today, although Mar 12 is offered for the first time this month, albeit at a significant premium. Maybe availability isn't quite as tight as the crushers might like you to think? 19/03/12 -- The overnight grains are mostly red this morning, seemingly taking a break from the recent push to the highest levels since September for soybeans and corn (and not too far off the best levels since then for wheat either). "Portugal will be the next Greece" say the headlines in the Guardian amongst others today. Whilst not exactly being a "where the hell did that come from" news item, it does maybe reiterate that the European debt problem is a VERY long way off being resolved. There's been a huge volume of spec money flood into corn and beans since the mid-December lows. Whether or not it fancies hanging around decides where we go from here IMHO. Yes, old crop corn supply is tight. Yes, China almost certainly has routinely been exaggerating the size of it's corn harvest for years, although neither of these pieces of information are newly arrived on the table either. The relatively small forest fire that is Greece appears to have been contained for now. Portugal appears likely to be the next to go up in flames. And next door there's much bigger trouble smouldering under the searing Spanish sun, and the eurozone firefighters appear to be running out of water. This market is heavily overbought on corn and beans, saturated with spec length that could cause a stampede for the exit door if and when they get spooked by European debt fears again, regardless of what the fundamentals say. When fears of a Greek collapse were at their height we saw soybeans plunge 23%, corn lose 17% and wheat dive 26% in just one calendar month last June as fund money suddenly scrambled to safety. Keep your eye on the funds.